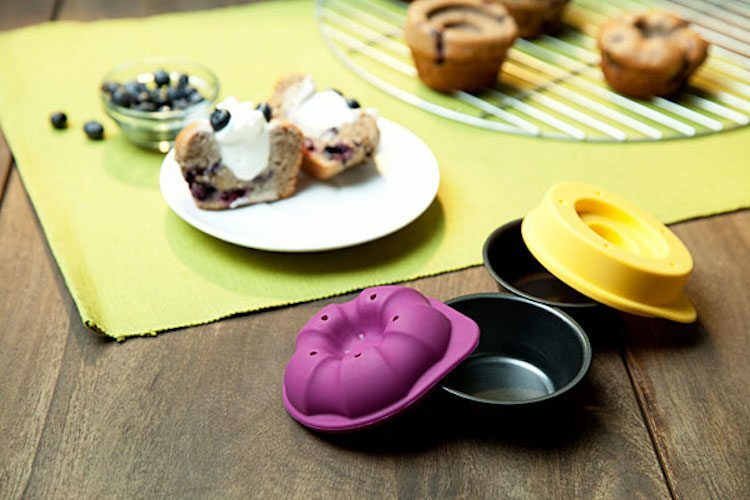 The Bakeshapes Muffin Tin and Toppers are brought to you courtesy of ThinkGeek. 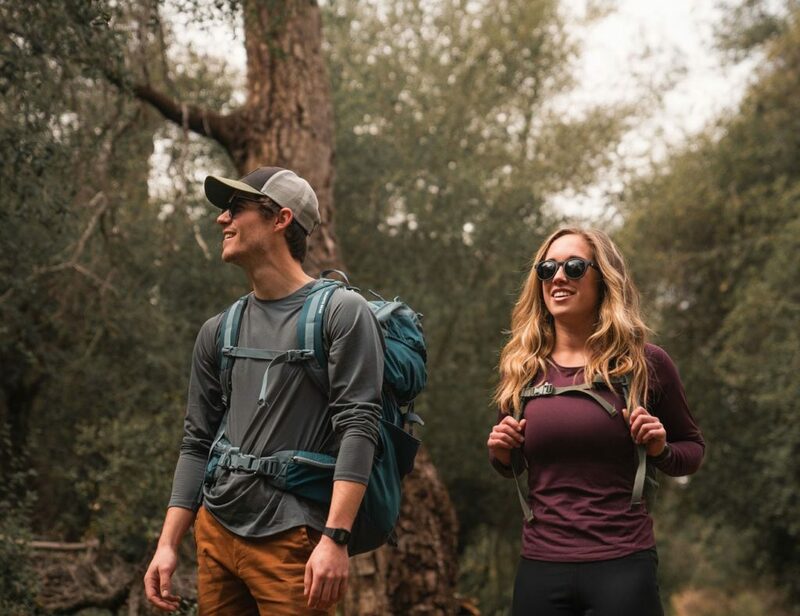 Muffin tops may be gross when they’re ballooning out of a pair of jeans. But as far as baked muffins are concerned, it’s the muffin top that’s the best part. Now it can be even better, if you use the tin and toppers in this kit. 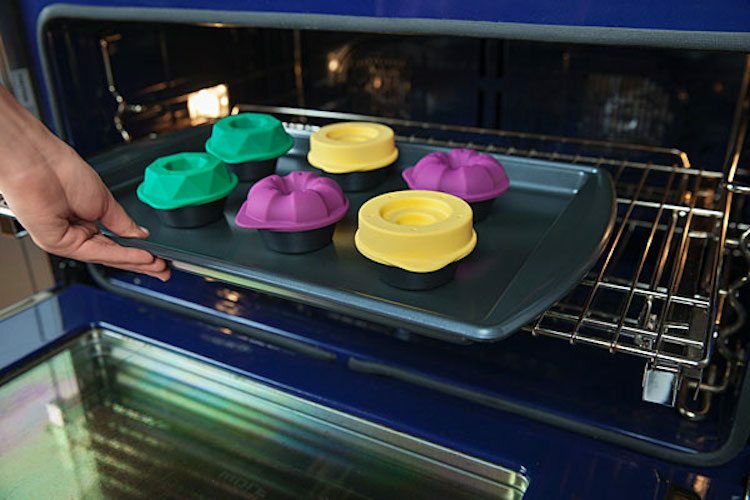 You just attach the food-safe silicone toppers to the muffin pan which comes with the kit, and then fill up the tin. The batter expands and fills the mold, and now you have a muffin top that’s shaped just the way you want, with toppings of your choice. What you get are six non-stick tins and six toppers, two each in three different shapes.